One of our keys to success is putting you at the heart of what we do. For example: most firms require you to hire an employment law solicitor and then pay for an employment law barrister on top of this. Not only does this cost you more but you end up with an inferior service. You will not deal with the same person all the way through and, despite spending much more money, your barrister will often not meet with you until the day of the hearing or know much about your case until very late (often too late). Your barrister will not have time to prepare and this leads to information being lost and misunderstandings. In contrast, we have experienced employment law advocates that work directly for us. So we can ensure that the same people deal with you from beginning to end. All of our lawyers are specialists – which means they know how to advise and represent you to the highest standards. 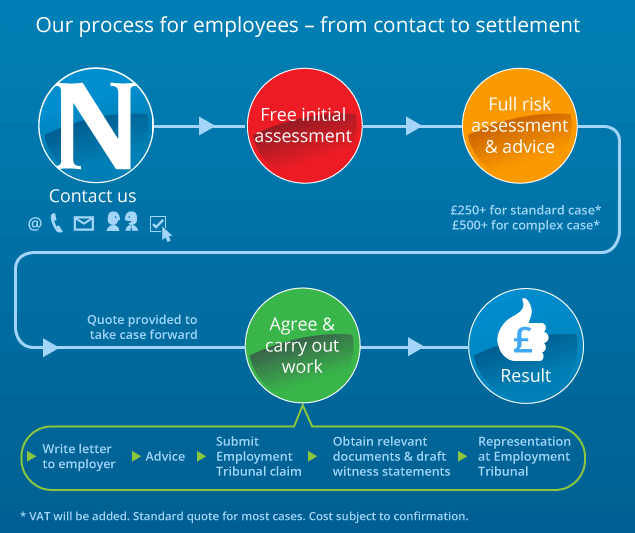 This just a small insight to why we can provide a superior employment law service for our clients.